Join two pioneers of the China field, Jerome A. Cohen and Ezra F. Vogel, for a fascinating evening of reflections on what Americans were thinking in the late 1960’s about opening the door to China; learn about their impressions of China when they first visited more than 40 years ago. What did Americans know about China then, and what was the academic study of China like? How have things changed since? SAVE THE DATE: Wednesday, February 18, 5:30 p.m. to 7:15 p.m.
What was the state of Sino-American relations and related domestic politics in the United States and China on the eve of normalization in 1979? What have universities done in the decades since to deepen our understanding? Join two pioneers of the China field, Jerome A. Cohen and Ezra F. Vogel, for a fascinating evening of reflections on what Americans were thinking in the late 1960’s about opening the door to China; learn about their impressions of China when they first visited more than 40 years ago. What did Americans know about China then, and what was the academic study of China like? How have things changed since? 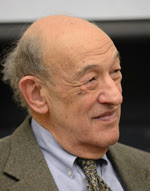 Jerome A. Cohen, a professor at NYU School of Law since 1990 and co-director of its U.S.-Asia Law Institute, is a leading American expert on Chinese law and government. A founder in the field in the United States, Professor Cohen began studying China’s legal system in the early 1960s and from 1964 to 1979 introduced the teaching of Asian law into the curriculum of Harvard Law School, where he served as Jeremiah Smith Professor, associate dean and director of East Asian Legal Studies. Mr. Cohen retired from the partnership of Paul, Weiss, Rifkind, Wharton & Garrison LLP at the end of 2000 after twenty years of law practice focused on China. In his practice, Professor Cohen represented many companies and individuals in contract negotiations as well as in dispute resolution in China. He continues to serve as an arbitrator and expert witness in disputes relating to China and to Chinese in the United States. Before becoming a professor, Mr. Cohen served in government, first as an assistant U.S. attorney in Washington, D.C., and then as a full time consultant to the U.S. Senate Committee on Foreign Relations. He has testified at many congressional hearings on China. Professor Cohen graduated from Yale College and Yale Law School. 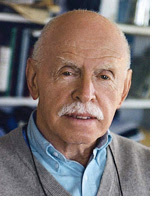 Professor Ezra F. Vogel, Henry Ford II Professor of the Social Sciences Emeritus at Harvard University, was a professor at Harvard from 1967 to 2000. He succeeded John Fairbank to become the second director of Harvard’s East Asian Research Center, second chairman of the Council for East Asian Studies, director of the Fairbank Center, founding director of the Asia Center, and director of the East Asian Studies undergraduate concentration from its inception in 1972 until 1991. Dr. Vogel taught courses on Japanese society, Communist Chinese society, and industrial East Asia. From fall 1993 to fall 1995, Dr. Vogel took a two-year leave of absence from Harvard to serve as the National Intelligence Officer for East Asia at the National Intelligence Council in Washington. Among his publications are: Japan As Number One, 1979, which in Japanese translation became a best seller in Japan, and Deng Xiaoping and the Transformation of China, 2011, which in Chinese translation became a best seller in China. He has lectured frequently in Asia, in both Chinese and Japanese. Dr. Vogel received his undergraduate degree from Ohio Wesleyan University and his doctorate in sociology from Harvard University. Visit our webpage to learn about upcoming National Committee events.